Shelly’s Special Gifts: We’re pleased to introduce you to this McCall, ID small business owned and operated by Michelle “Shelly” Butler. 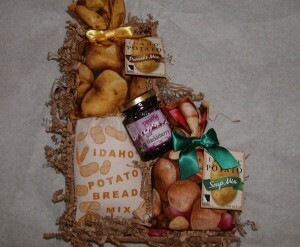 It’s Shelly’s Special Gifts and if you’re looking for an Idaho themed gift, you’ve come to the right place! 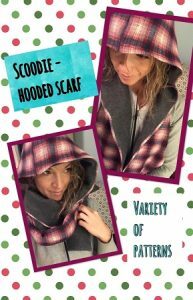 For bundling up in those chilly Idaho winters, take a look at the stylish “Scoodies” (hooded scarfs). Fashionable for both gals and guys, they’re double layered with fleece and your choice of flannel or cotton. A fun and practical personal or client gift item, these eye catching scarfs are durable too – they’ll machine wash beautifully for years! Shelly’s Special Gifts … Uniquely Handmade in Idaho! The book is available for purchase from this page at the Idaho Humanities website. 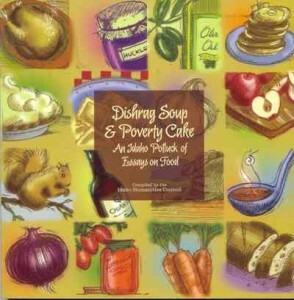 It makes an excellent economical gift for anyone who lives in Idaho or has a soft spot for the state’s history, culture, and culinary influences. Woodland Enterprises & Smokey The Bear Gifts: Located in the northwest Idaho community of Moscow, home to the University of Idaho, Woodland Enterprises is a dual focused business. Their storefront in the center of town features Northwest Showcase, a spotlight on the works of 70+ area and regional artists. At the Woodland Enterprises website, you’ll find plush Smokey dolls, wearable accessories, hats, cards, blankets, pillows, signs, and much more. Smokey’s pal Woodsy The Owl is featured too! What a great (and educational) gift idea for anyone who needs to learn the importance of protecting our forests and open lands … direct from Idaho. 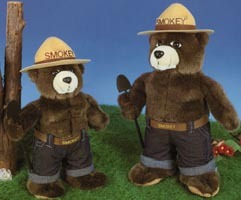 Click through to their site to see all the Smokey items! 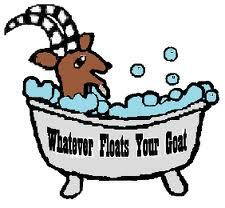 Whatever Floats Your Goat creates a line of body care products like lotions, foot care, lip balms, and bath bombs in addition to their soap. 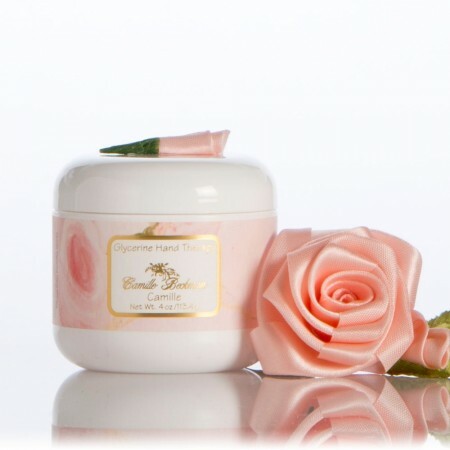 Choose from mint, lavender, citrus, and other pleasing scents. Did you know natural lavender goat milk soap is an excellent shampoo bar? Lavender is a natural cleanser and also serves to exfoliate the scalp. It’s ideal for thinning hair or dry scalp conditions and you can throw away that bottle of conditioner! You can order any of the company’s Idaho made soaps and other products directly at their website. Natural soaps are a perfect gift idea direct from The Gem State! 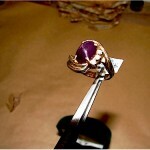 The Star Garnet is a rare stone that is very durable … one of the harder stones used for jewelry. They’ll last for generations and can be handed down as a precious heirloom. 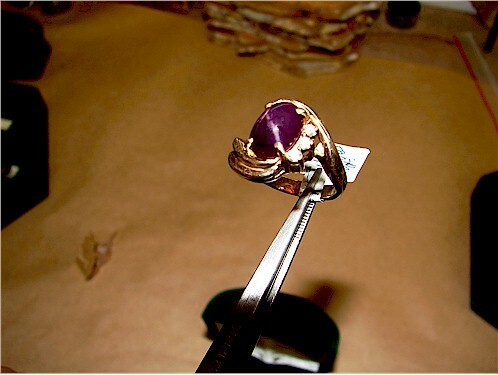 We learned that a great source for Star Garnet jewelry is Stewart’s Gem Shop in Boise, a family owned business since 1945. What we’d really like to tell you about though is their Natural Fruit Stix. They’re made similar to a jerky except of course with dried fruit. When we visited The Gem State recently, we enjoyed the blueberry and apple cinnamon flavor while taking in some of the state’s spectacular scenery. 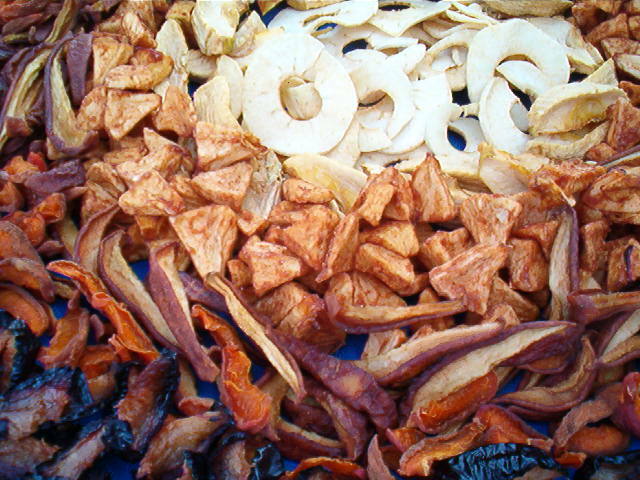 Golden Valley Natural makes their jerky in five flavors – Original, Teriyaki, Sweet & Spicy, Black Pepper, and Bar-B-Q. You can also buy the Natural Fruit Sticks in Mixed Berry and Pineapple varieties in addition to the Blueberry and Apple Cinnamon. Visit their website to learn more. Made in Idaho … enjoy! Kelley Orchards: A small family farm located near Weiser, ID Kelley Orchards is known for their prolific fresh fruit production. In this area, warm days and cool nights blend with fertile soil near the Snake River to make it an optimal location to grow apples, plums, nectarines, cherries, peaches, and more. 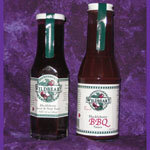 See the Kelley Orchards website to see what’s available and ready for you to enjoy! 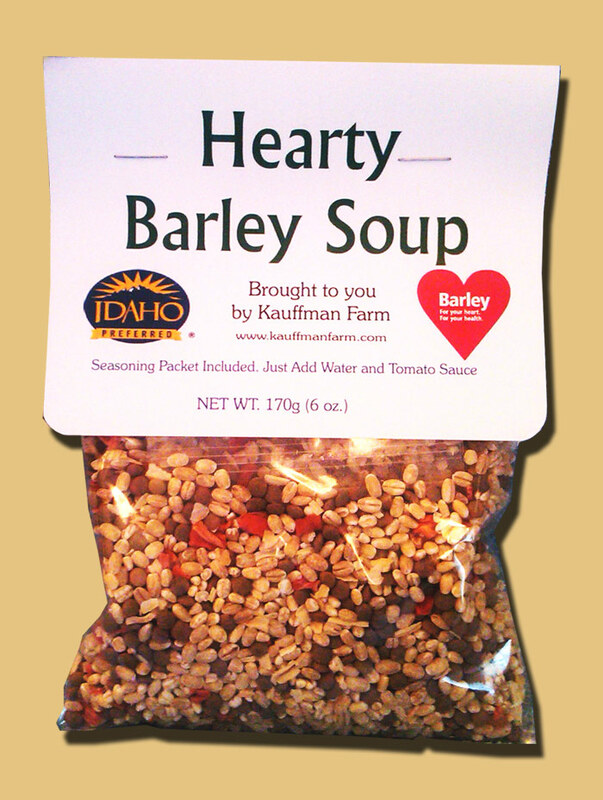 About as close to an Idaho farm to table meal you can experience from farther afield, Hearty Barley Soup Mix is available via PayPal at the Kauffman Farm website. Click on the “Products” tab where you can also buy packaged pearl barley to use in your own recipes. Ideal as part of a themed gift from The Gem State … enjoy! 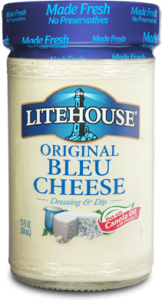 Litehouse Foods: Based in Sandpoint, ID this employee owned company produces a line of salad dressings, dips, Greek yogurt, and artisan cheese. We’d like to introduce you to their signature product – Original Bleu Cheese Dressing. 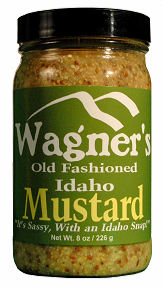 Made from a 50+ year old recipe, this dressing is legendary in the northwest. It’s made with handcrafted bleu cheese, house made mayonnaise, fresh buttermilk, and spices. 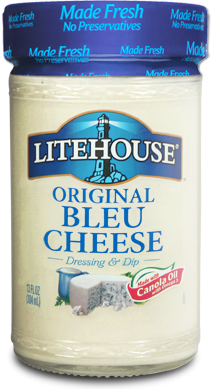 You’ll find Litehouse Foods products in selected markets across the U.S. and there’s a store locater on their website. You can also buy any of their products at their online store. A real Idaho original! In Idaho near the Snake River, rich volcanic soil, warm days, and cool nights create ideal conditions for growing garlic. One small company capitalizing on this combination of factors is My Dad’s Garlic, a father-daughter team based in Rupert, ID. 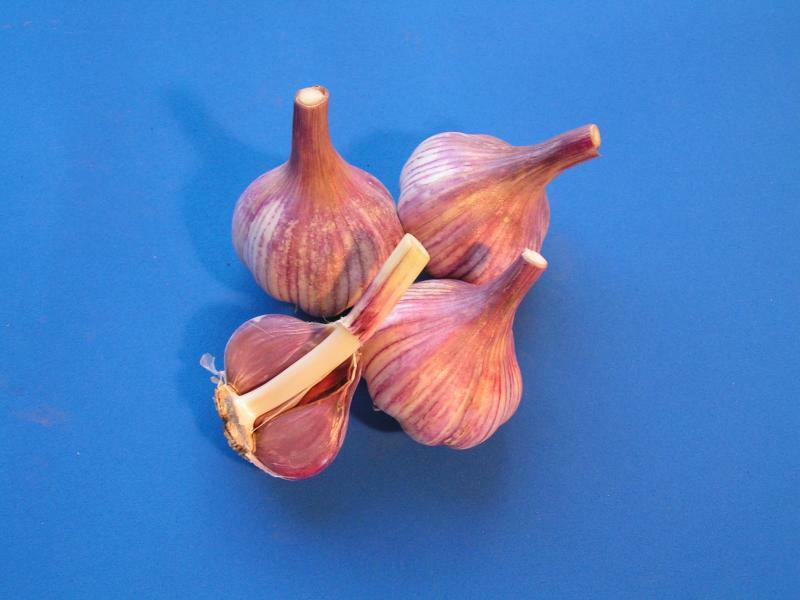 Their local farm grows a wide variety of garlic – they are a state inspected and licensed grower. Did you know there are hundreds of garlic varieties? My Dad’s Garlic grows and sells Chesnok Red, Musik, Inchelium Red, and several more. Some are mild, some offer a bit of heat, and others offer a more pronounced hot and spicy flavor. You can learn the differences at their site, where each variety is described in detail. You can also buy their garlic by the pound and in variety packs – an ideal Idaho gift for the chef or foodie in your life, or just for your own kitchen use! Enjoy! These tasty and healthy flapjacks are made from organic ingredients and ground to order. 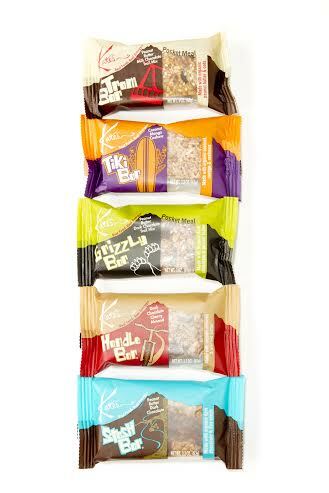 Beyond the original variety, the product line has grown to include FlaxJacks made with healthy flax seeds as well as Buckwheat and Teff. They even offer an Idaho maple syrup to complete your meal! 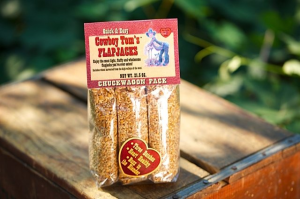 Cowboy Tom’s Flajacks are ultra easy to prepare – just add milk, a dash of vegetable oil, one egg and then blend. Pour the mixture over a hot griddle pan and brown on each side. In case you were wondering, Teff is a sweet tasting grain – it is loaded with protein and fiber and extremely low in fat. Brown Teff has a subtle nut like flavor while Ivory Teff is a bit milder. The Three Buckaroos pack available at the Cowboy Tom’s website is a great Idaho gift idea as it offers a Buckwheat mix as well as Brown and Ivory Teff mixes. Try all three and see which you like best! 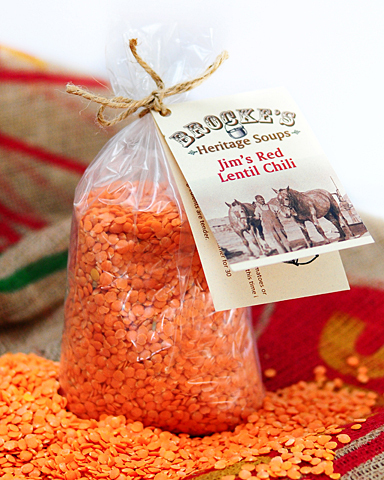 The Brocke family has run a warehouse serving Kendrick area farms for well over 60 years, and in the past few years started marketing five varieties of soups and chili with dried lentils, beans, split peas, and more. Ranging from their Sister’s Split Pea to a soup mix called Harvest Day made with long grain brown rice, these heritage recipes help you create a convenient family meal. Pictured is Jim’s Red Lentil Chili, made with red lentils, vegetables, seasonings, and onion powder. You’ll have a big batch of chili within about 1/2 hour – add some ground beef if you’d like! Treasure Valley Salsa: Boise based Treasure Valley Salsa makes a line of salsa in a variety of different flavors and heat levels. On our recent trip out west, we bought a jar of their Medium Sslsa (that’s the salsa lane we typically bowl in!) and wish we would’ve bought more! Available in five different varieties, these bars are crunchy, chewy, sweet, and salty all at once. 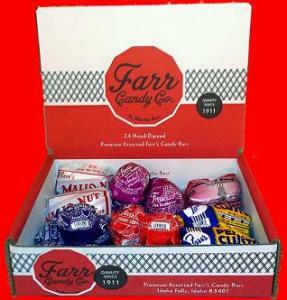 There’s sure to be a flavor you crave, and they’re available singly, in assortments, and gift boxes. The recipe packets from Peak Provisions create easy stove top meals in minutes. 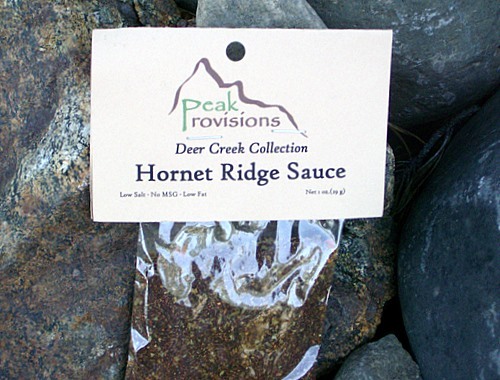 Just add tomatoes, meat, and onions to the Hornet Ridge Sauce (pictured) and ladle over rice or noodles for a satisfying dinner! Their flavor is darker and actually sweeter than traditional red raspberries. Try it for yourself and see! 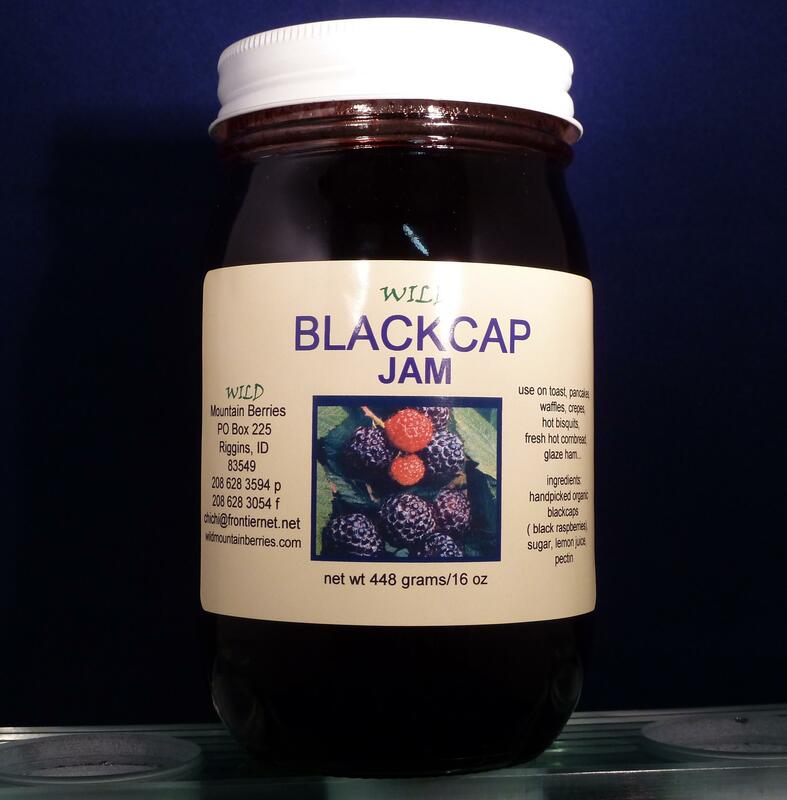 Wild Mountain Berries produces other interesting products as well … chokecherry jam, huckleberry barbecue sauce, dill jalapeno relish, and huckleberry honey dill mustard … all unique products you won’t often see outside of The Gem State! 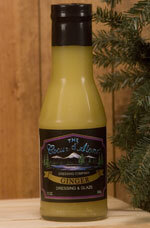 Wild Mountain Berries also offers a number of gift packages and gift crates. 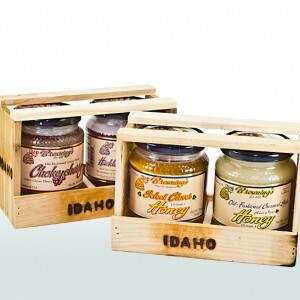 You can order both mustard and jam crate packs for an Idaho themed gift for someone on your list, or just for yourself and family. Homemade By Dorothy creates a wide variety of tasty products, including but not limited to mixes, syrups, jams, spices, and huckleberry items. One of their great themed gifts is the “Idaho Potatoes” box, pictured. 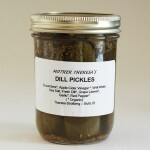 We are partial to their pickles which combine cucumbers, garlic, dill, grape leaves, and red peppers all grown on their farm. Both dill pickles and bread and butter style are available. A real taste of Idaho! We became acquainted with the Walker Ranch by their handmade soaps and jams. The jams, particularly the cherry, are high in demand and sell out regularly. The handmade soaps are all at least 50% olive oil based, with no animal products used in production. Several scents are available, like apple jack, cherry blossom, black cherry, tangerine, and more. Once you use these natural soaps, you’ll never want to use a commercial bar of soap again! 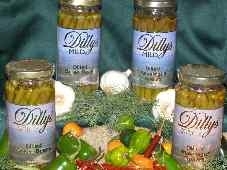 Dilly’s offers five different products in spicy and mild styles. 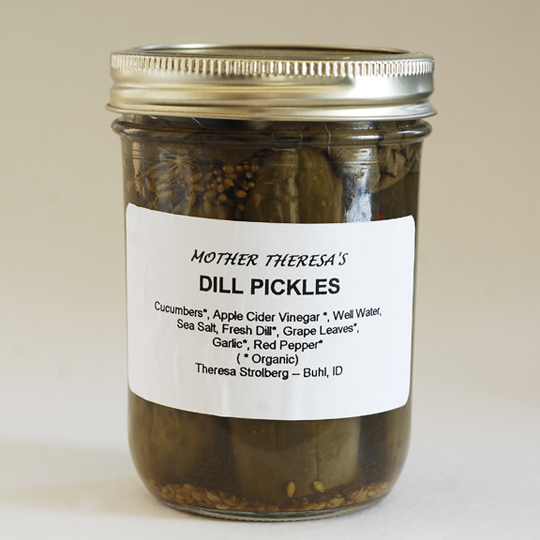 Choose from pickled green beans, dill pickles, and asparagus spears. The spicy dilled asparagus spears are the best! 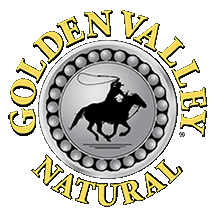 Golden Valley Natural Jerky: For over 45 years, Golden Valley Natural has been the largest producer of natural and organic meat snacks in the country. Choose from beef, buffalo, or turkey jerky in a variety of different flavors … teriyaki, sweet and spicy, BBQ, or black pepper. They also produce a unique line of fruit stick snacks … similar consistency to jerky but made with a blend of berries and apples. Silver Creek Farms of Twin Falls processes trout just moments after the catch … they are filleted by hand and smoked over Idaho hardwood and then vacuum packaged for freshness. 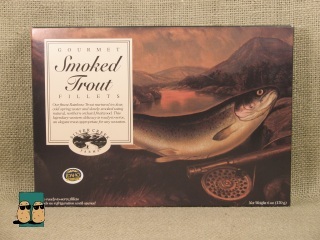 You can buy smoked trout either in fillets or canned … Silver Creek Farms has won numerous awards from food publications nationally! 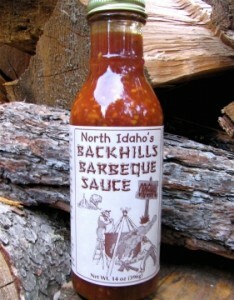 Wildbeary Huckleberry Products: Located in Coeur d’Alene, Wild Huckleberry Products is a division of GBR Foods and produces a line of huckleberry products like sauces, jams, and even a ready to drink huckleberry lemonade! The Center is home to The Peregrine Fund, a non profit organization dedicated to saving birds from extinction due to loss of habitat, poisoning, predatory hunting, and numberous other issues. Founded in 1970, the Fund has experienced several notable successes, due in large part to generouus support and the efforts of a passionate, dedicated staff and membership base. 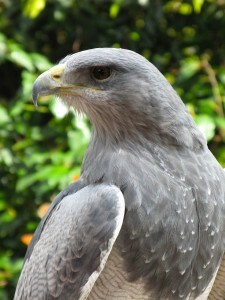 As an example, in 199 the Peregrine Falcon was finally removed from the endangered species list! Several other bird species are being aided by the Fund’s and the Center’s work, like rare condors, falcons, eagles, and more. 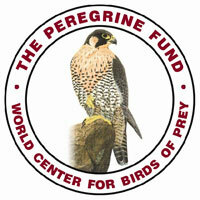 The Center and Fund are supported by visitors, donations, and shopping at Peregrine Fund Gift Shop. Here you can purchase any number of educational and decorative items relating to these beautiful birds, with the proceeds benefiting the Fund and continued operations of the Center. One of our favorites from Farr Candy is their Huckleberry Cordials. Huckleberries are primarily found in the northwest states and have a taste reminiscent of a cross between a raspberry and blueberry – a little tart and a little sweet! These cordials are a center of huckleberries surrounded by hand dipped chocolate in a creamy center and rolled in chopped nuts. They’re an ideal Idaho treat! Farr also makes a delicious Mallo Nut bar, offering a marshmallow center dipped in chocolate and surrounded by crushed walnuts. An Idaho tradition for over a century! On the Weiser Classic Candy site, you can conveniently shop by type of chocolate, occasion, season, price, and gift type. The Idaho Gifts page is a good place to start! Idaho Candy Company: Since 1901, the Idaho Candy Company has brought candy lovers two of the best known treats in the Gem State … the Idaho Spud Bar and the Cherry Cocktail Bar. While it’s shaped like a potato, the Idaho Spud Bar doesn’t have a potato filling. This traditional Idaho treat has a cocoa flavored marshmallow center and is coated with dark chocolate and sprinkled with coconut. The Cherry Cocktail Bar offers a combination of milk chocolate, roasted peanuts, and a creamy cherry creme center … yum! Their versatile line of a dozen seasonings are classified into “uses” for the sake of simplicity and approachability. There’s a seasoning mix for Italian, Mexican, Cajun, Indian, Thai, Jamaican, and Chinese, with varying heat levels if your tastes trend to spicy. Simply use them with your favorite meat, soup, stir-frys, vegetables, dips, and so on to create the flavor of your choice. There’s also an all purpose natural spice mix called Alvi’s Incredible which is versatile enough to be used on anything! You’ll find all of these spices available for purchase at the Save The Day Seasonings website – you’ll also see handy recipes and helpful tips on how best to use the seasonings. Made in Idaho! Idaho Jim’s Crazy Hot Sauce: What’s the old saying, “If you want something done right, do it yourself”? Well, that’s exactly what Jim & Joanne Cochell of Boise did in the late 90’s. Seeking a hot sauce with an ideal blend of heat and flavor, they proceeded to make their own! And over 15 years later, Idaho Jim’s Crazy Hot Sauce is going strong! A true “from the ground up” small business, the Cochell’s grow their own peppers, including habanero, ghost peppers, and others. 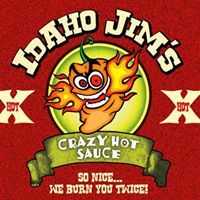 Each batch of Idaho Jim’s Crazy Hot Sauce is made by hand and it has garnered quite a few fans, including the folks at Bon Appetit Magazine who included it in their recent feature, “50 Hot Sauces From Every State In America”. 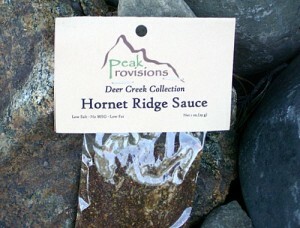 The sauce has an appealing orange tinted color and you can use it like a traditional hot sauce or as a dipping sauce. Mix it into stews too for a little pick me up! As a small hands on operation, the hot sauce is made whenever the peppers are ready. Typically, this means roughly the end of August until they run out late fall. Click through to their Facebook page, linked above, and you’ll be able to learn when a supply is available for ordering. 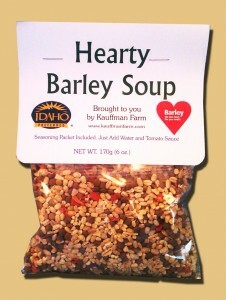 A truly local Idaho product – great for the culinary minded on your gift list! The original all purpose seasoning, called Old Faithful Blend, uses a mix of 15 herbs and spices and can be used on beef roasts or any other type of meat. Call on it the next time you need a marinade rub, or just a finishing seasoning while grilling or topping off your dish before serving. 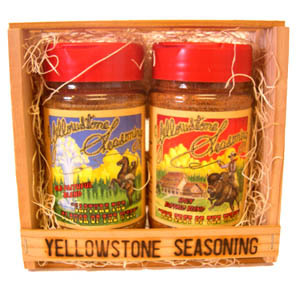 You can order either of the two blends online at the Yellowstone Seasoning website, or better yet, order both in the handsome wooden crate shown. A great gift for the chef on your list, or anyone who likes to eat! You can find a full line of game seasonings, artisan salt and pepper, culinary rubs, spice blends, and sausage seasonings, ready to be shipped directly to your door from their Starlight Herb spice store. We were given a jar of their Salmon Seasoning, which we really enjoy! It’s a blend of garlic, onion, bell pepper, mustard seed, bay leaf, and salt and pepper … we sprinkle it right on top of a grilled salmon filet. 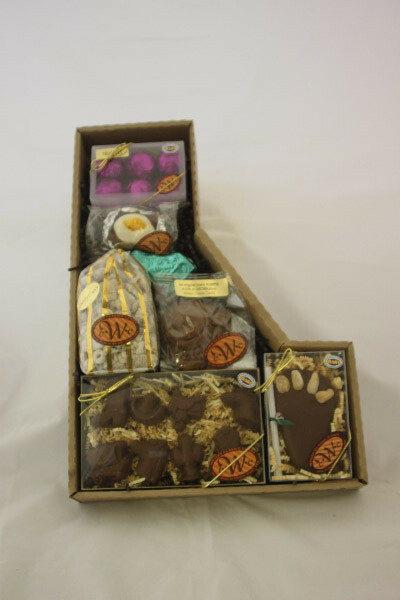 The Taste of Idaho sampler set, shipped in a handsome small wooden crate, is an ideal gift for the Idaho fan in your life! Coeur d’Alene Dressing Company: Owners Don and Peggy Alderman have been producing Coeur d’Alene Salad Dressings since 1996 in the beautiful northern Idaho region. Gift packages are available … the sampler gift box is a great gift idea as it includes all six of the Coeur d’Alene Dressing Company’s salad dressings. From humble beginnings, Browning’s Honey is now one of the largest beekeepers and honey producers in the country. Their bee hives are often transported to surrounding states to assist with crop pollination as well. At their online store, you can see the wide range of honey products produced here, including raw and creamed honey, flavored honey, candy, candles, and honey based skincare products. We noticed a handsome gift box on their site, packed in a wooden crate stamped “Idaho” (pictured). 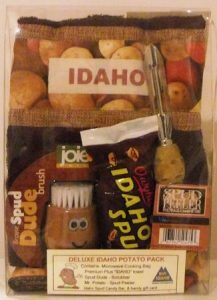 If you’re planning to give an Idaho themed gift to someone on your list, you can’t get more authentic than this! Browning’s Honey – an Idaho tradition since 1921! Idaho Scenics: Idaho Scenics is a photography company featuring the work of Idaho native Linda Lantzy. Linda photographs local landscapes, rivers, and scenic vistas of the state in all four seasons. Her photographs are sold to corporate clients as well as individuals seeking a unique Idaho print for their home. With literally hundreds of prints available, you’re sure to find the ideal Gem State work of art! See Linda’s work at Idaho Scenics . A beautiful and unique Idaho themed gift! Whether you’re looking for a functional or decorative gift from Idaho, or simply seeking to add a splash of color to your home’s decor, these glass blown works of art are a wonderful choice! 4). It might not surprise you that Idaho is the nation’s leading producer of potatoes, but did you know Idaho is also the leader in trout, lentils, and winter peas? Along with the neighboring adjacent cities of Nampa and Meridian, the metro area is home to over 650,000. We learned it is the 3rd largest metropolitan area in the northwest, trailing only Seattle and Portland. You’re not far from Oregon here (about 40 miles) and the city sits just over 100 miles north of the Nevada border. 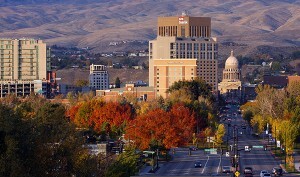 Surrounded by mountains in just about every direction, Boise’s climate is semi arid and distinctly four seasons. Summers are warm and dry (and can get hot), and winter features moderately cold temperatures but not much snow. Warm autumns are a wonderful time to visit, although it’s fair to say there’s no particular season to really avoid. Boise’s welcome mat is out all year around! The metro area is home to many different companies encompassing several industries. Along with state government, these various companies help keep the economy humming along. Boise Cascade, Albertson’s, and Micron Technology are among the many corporations with headquarters or a major presence here. Culturally, Boise has a lively arts scene and is home to the largest Basque ethnic community in the United States. As a result, Basque cuisine (predominantly Spain influenced with a dash of France) is found on many restaurant menus, and you’ll also find many Basque influenced eateries. 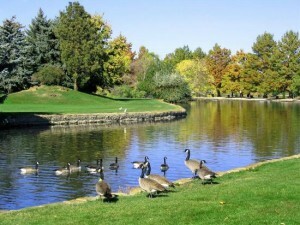 Like most cities across the country, Boise has several unique neighborhoods, giving the city uniqueness and personality. There are certain areas you’ll want to learn more about before you visit, and take the time to explore. A very active city, you can explore much of Boise on foot, although you’ll generally need a car to get around. If you like being outdoors, the city will suit your needs well – hiking and biking trails abound, and there’s ample opportunity to get out on the water (the Boise River) on canoes or kayaks. And as mentioned, the weather is generally cooperative for outdoor adventures – summer and fall are relatively dry and most months offer moderate temperatures. The metro area sits about 2,700 feet above sea level, so even when it’s hot, the temperatures are moderated a bit by breezes and the surrounding topography. One of the absolute must see attractions in the area is the World Center for Birds of Prey, a facility located on a large hilltop location overlooking downtown Boise. It’s home to hundreds of prey birds, many of which are or have been on the endangered species list. The Center has been instrumental in helping remove peregrine falcons from the endangered category and currently breeds and releases rare condors. 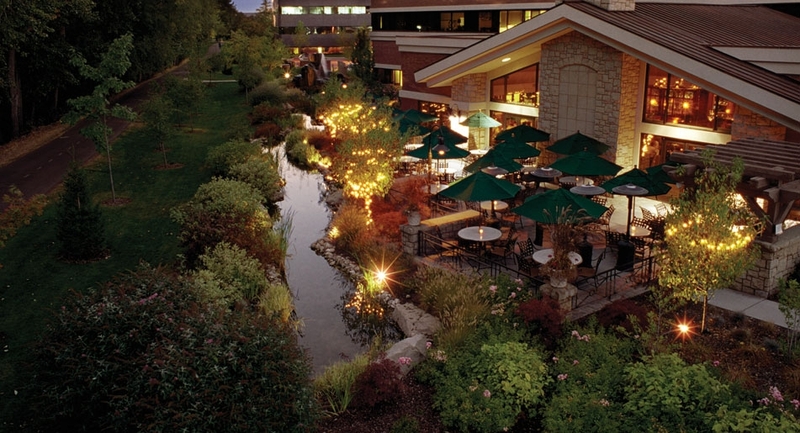 To really experience Boise, you’ve got to see three districts in and around the downtown core. 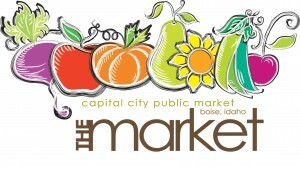 They are The Basque Block (featuring the famous Basque Market), Hyde Park, and Old Boise. If you’re a shopper, meandering through these areas will keep you busy for a day or two or three! At 6th and Main, Old Boise is the historical center of the city and features dining, shopping, nightlife, and historical buildings and architecture. It’s basically adjacent to The Basque Block (some would say it’s basically one area), so it’s easy to experience both in a few hours of exploration. Be sure to shop at Indie Made, a treasure trove of locally handmade goods, and Epitome Home & Garden for one of a kind accessories for your living space. Nearby historic Hyde Park is the center of the lively North End district. A gathering place for organized local events, Hyde Park is an historic retail center featuring many buildings on the National Register of Historic Places. Eateries, antiques stores, and specialty shops fill this lively area, which is also a hub for live music. A true Boise community, this is where you’ll rub shoulders with the locals and experience a glimpse of what makes the city special. 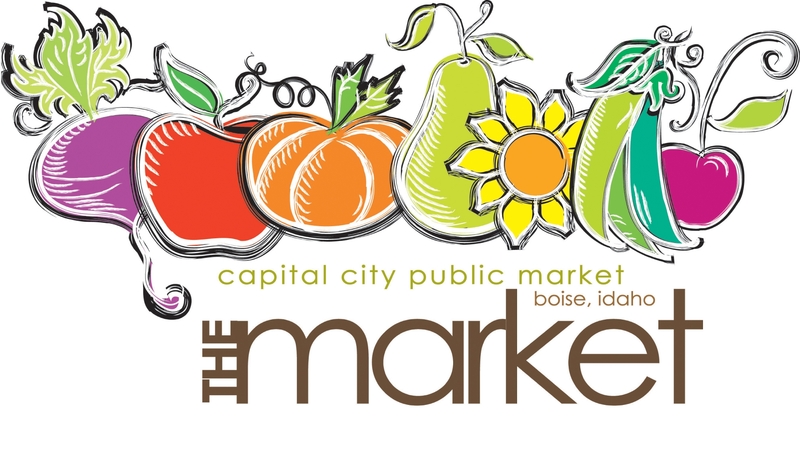 If you’re visiting over a weekend, take the time to walk around the Capital City Public Market, It’s the city’s public farmers market and has a great tagline – “Where The Farm Meets The City”. Open Saturdays from mid April through December, the market is a great place for shopping, people watching, or just getting your Saturday morning going. It’s an easy walk from anywhere in the downtown area and afterwards you can access the nearby Riverside Path to walk off your breakfast or get a little exercise. One thing you’ll notice in Boise is the easy access to outdoor recreation. 8th Street literally leads to the foothills surrounding the city – perfect for hiking and biking. The Riverside Path is something no visitor should miss! 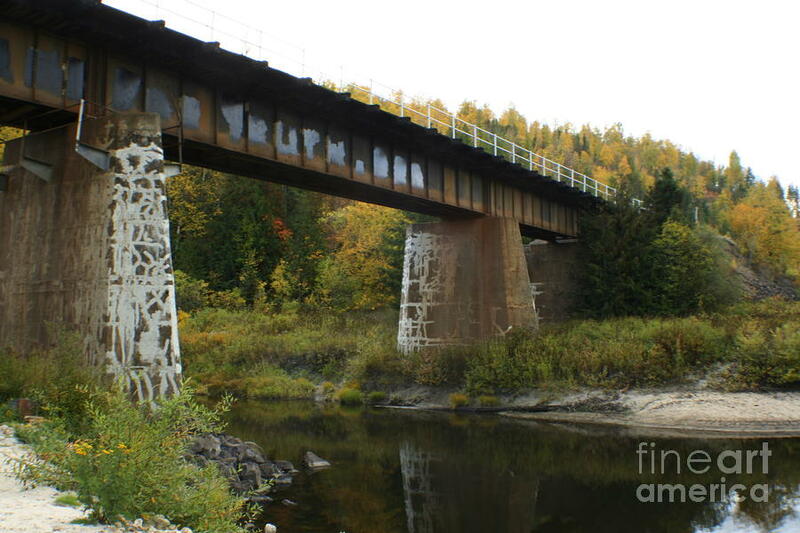 It hugs the river and meanders for miles. We walked pretty much the length of downtown and back; great photo opportunities await and a real sense of “we’ve visited Boise” will remain in your memory! 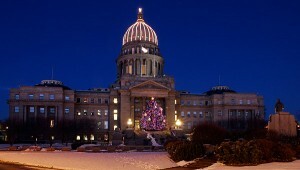 If you’ve got the state capitol buildings on your bucket list like we do, visit Idaho’s at 7th and Jefferson. You’ll see the building’s gleaming dome from anywhere in the city. It’s one of the state’s most treasured landmarks, dating back over 100 years and completely renovated in 2010. Tours are available – the interior is quite stunning – and you can learn more at this overview website. We spent two nights in this wonderful city, barely enough time to truly explore the culinary scene, but we did enjoy a few restaurants we’re happy to tell you about. Idaho, of course, is famous for potatoes, but don’t pass up another of the state’s claims to fame, fresh trout. You can get some at Bardenay (mentioned above), located at The Basque Block downtown. It’s served with garlic mashed potatoes so you get to experience the Idaho two-for-one! Falcon Tavern is a local treasure, kind of a spiffed up neighborhood pub at 8th & Idaho offering patio dining in nice weather. They’re known for their specialty burgers, sandwiches, creative appetizers, and draught beers. A great place for happy hour, this place offers excellent Cobb salads, corned beef sandwiches, onion rings, and burgers, of which there about a dozen different choices. Comfortable and casual, it’s equally suitable for lunch or dinner and it’s where you’ll find a lot of downtown workers after hours. The Cottonwood Grille is a scenic choice for dinner, with great food and river views. Sit on their expansive patio and enjoy a glass or bottle of local wine (Idaho has quite the wine scene) along with a choice from their appealing menu. We enjoyed their sauteed Idaho trout, finished with an almond lemon butter sauce. They’re also known for local fresh game like elk and pheasant, along with pork chops finished with Calvados brandy. Finally, Lock, Stock, & Barrel is a locals in the know place that’s been around since the 1970’s. It’s a steakhouse known for their fantastic prime rib which routinely sells out every Saturday. Located at 11th and Jefferson downtown, it’s the kind of place where you’ll get a knowing nod and smile when you tell a Boisean you’re going there (or have been there). One of Boise’s best loved restaurants, L,S, & B is almost as well known for their salad bar as their steaks. 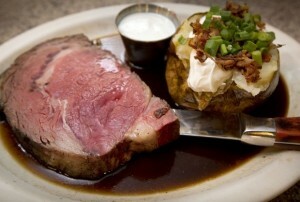 You can get the salad bar with your entree and we can personally vouch for the rib eye and the prime rib! 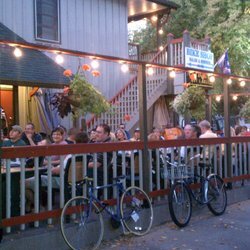 If you’ve only got time for one dinner in Boise and you like local places, make this your choice! Of course, these four places just scratch the surface. Boise is a bit of a foodie town – farm to table is big here (as it should be) and you’ll have ample choices for both lunch an dinner. If you’re just passing through, of course you’ll need a car but once you’re settled in, leave it parked and set off on foot. Fresh air, friendly people, and beautiful scenery await! If you’re out in the northwest on your travels, take the time to visit this attractive city. If you like the combination of outdoor activities and big city amenities, you’d be hard pressed to find a better choice than Boise. We loved visiting here – while you can get a general overview with an overnight stay, two nights or more is much better. Explore the area at your leisure, enjoy some of the city’s parks and green spaces, and sample the outstanding restaurant scene. You can learn more about the Idaho’s capital city at Boise.org, the Convention & Visitor’s Bureau website and a treasure trove of information about what to see and do, where to stay, and so on. 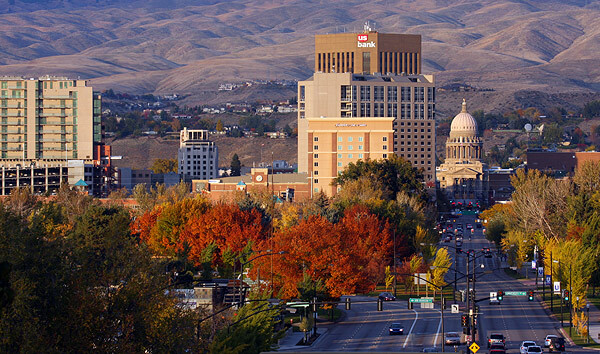 Get to know Boise – we’re sure it’ll make your list of favorite places to visit just as it did ours!